We had stayed at Princeton Hotel for RM100 per night. Tripadvisor really helps with this decision, despite the room is just enough for a King bed and a spot for one person praying. Room is clean and the staff is very polite and friendly. 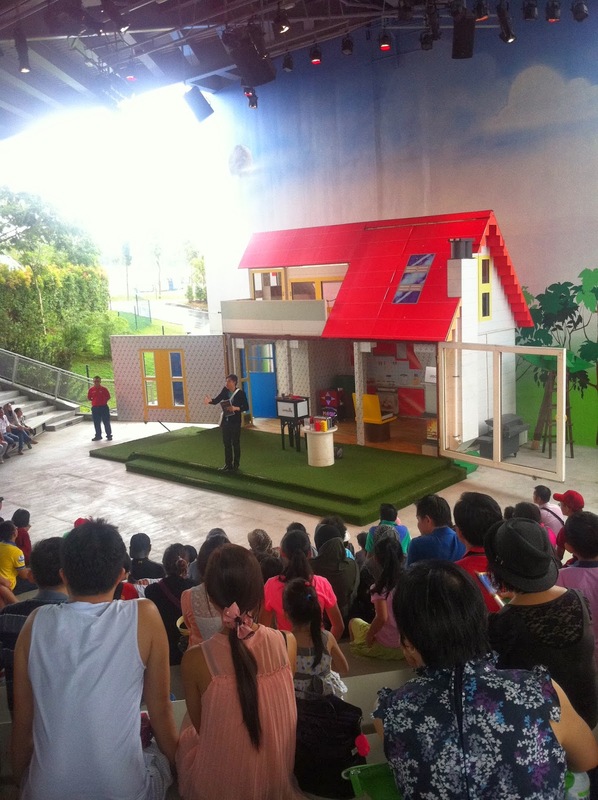 The place is also near to Aeon,Tesco and McD - less than 10-15 minutes walking. Please excuse the photobomb but here's our room looks like. This is Supreme King but smaller than shown in FB - the room just as big as the king bed with a small space for one person praying. TV is hanging on wall at the end of the bed. Despite there is no fridge, hanger, iron or hair dryer, I can request it all without charges from the reception. 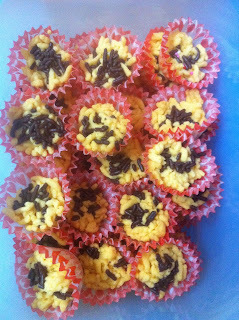 I had brought Rauhah's food from home and they had help keep all the items without hesitant. Free WiFi is also provided! Breakfast set is also affordable. I remember saw the price of RM5 for Nasi Lemak with 3in1 Milo. All in all, it's a worth budget hotel with friendly staff! Definitely a recommended place to stay. Dont leave your stroller at the open area and make sure if you have to, leave it under a roof. Or bring together your raincover, if you have. We left our stroller when we watched 4D without noticing the roof had a small space between the pillar and the roof. It was too late by the time the movie finish and our stroller was super wet. The second time is when we leave if during playtime at water theme park. It's just a shady roof top and the stroller still get splatter from the rain. All sorts and sizes of kids life jacket. It's still safe if you dont bring everything since Legoland provide everything as per listing above but it would be better if you could save up, dont you think? The only thing I dont like about Legoland is poor management on handling issues (eg: car park ticket machine went down and it took time for the staff to react). Overprice food and stuff is normal when it comes to this kind of park, so please expect everything is double the normal price :P Other than that, it was a very convenient place for a family with small kids to have great time together; with a proper necessities like Baby Care and Family Toilet. 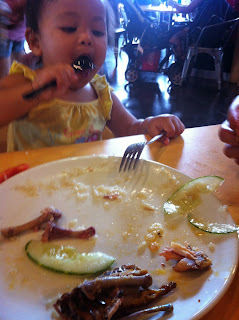 We reached around noon after preparing Rauhah's lunch at the hotel. I brought her food from home and cooked her porridge which took quite some time. No more parking issue unlike the first day and head straight to the water park after having our lunch at Old Town. It was smooth and hassle free on the second day. 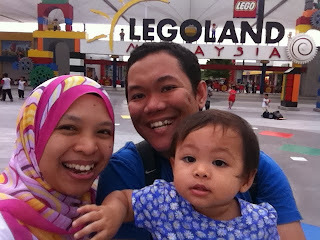 We enjoyed more in here compared to the Legoland itself. We didnt manage to buy her proper swimming suit and myself forgot to bring my own which end up all of us wearing whatever we have in the suitcase. Rauhah was quite hesitant when we bring her at the raft river. She dont like it when the water run down to her face and seeing the (again) large-size Lego model scared her. We manage to distract her few times and she started to enjoy the water. 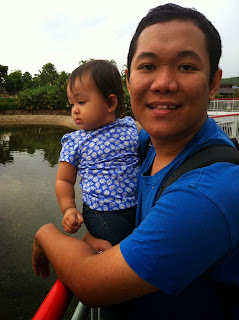 While Husband tried the ride in the water park, me and Rauhah spend the time at Wave Pool. Not long after, the rain started to came with thunder where the safe guard called everyone out. Everything was closed until God-knows-how-long. We sit under the Body Dryer. Luckily no one wanted to use the service and we sat there comfortably while everyone cramping themselves under the restaurant. Rauhah even manage to had her nap while wearing her wet cloths. Poor my baby but mommy's heat helped her sleep at ease. I think it took more than half hour before the guards allowed everyone going into the water again and alhamdulillah no more rain afterwards. We played until 5PM and realized we need to take some pictures before the park closed at 6PM. The changing room is very clean and comfortable. Surau is very near and convenient for all muslims. We are very pleased with the service and it's very family friendly. We then continue to the Legoland park again - it closed at 8PM and we still have the time to explore the Legoland Express and Miniland. Afterwards, we decided to go to JPO and Danga Bay but we are lost. Instead, we found Sekinchan Ikan Bakar and had a good Asam Pedas for dinner :D Tummy was full and we all decided to call it a day. We thought that we could go again before heading to Kuantan the next day but everyone was so tired and thinking we might drained out by the time we drove back home. So instead, we just had a rest on the last day at the hotel. She throws tantrums when things doesnt goes her way. Like if she wants to hold her cup by herself without assistant and that means no help even I try to lift the straw for her. She starts screaming and crying or throw things on the floor. I started to wonder what I've done wrong or at least trying to figure if she doesnt understand when I said no. I googled about 'toddles and tantrum', and then something hit me - the 'terrible twos' myth. Oh..gosh. Hers started so early at 14/15 months old and I almost lost count how old my toddler these days. It has been 4 great months since I became SAHM. Don't ask if this is permanent cause Im not too sure myself. What I really know that I feel great and infinite happiness with this blessed. Benarlah kata orang, this is the best job ever, probably a dream to all working mothers out there. 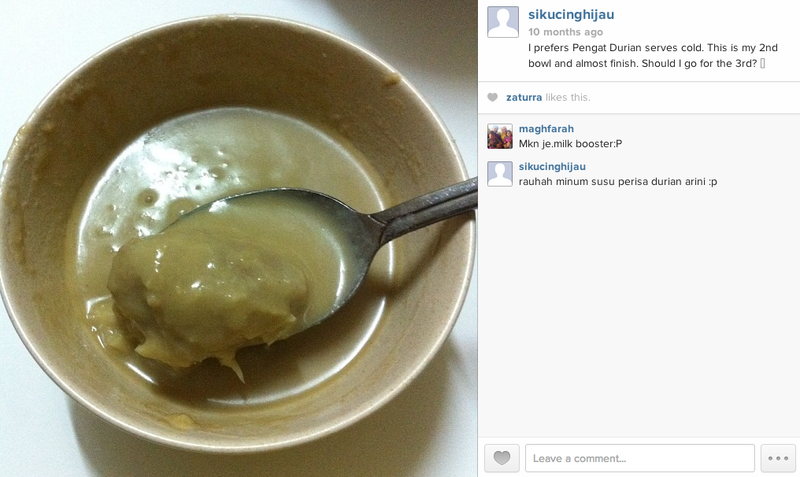 Though it sounds great but mind you, stay at home means more melayan-perangai-anak-yang-menguji-kesabaran. Tipulah kalau tak rindu zaman bekerja. Perasaan mcm tu muncul bile anak buat perangai yang bikin keluar taring. Masa kerja adalah escape time dan masa utk rindu anak so that everyday ada perasaan happy utk looking forward to something that is soo dearest but that moment dissappear in instant bile anak cranky at time we are expecting die behave. Masa ni rse berslh sbb marah anak yg most probably nk attention tp kt duk pikir nak masak/buat other housechores. Semua working mom ada perasaan yang sama. Bukan x sayang anak, tp sbb sayang lah tinggal-tinggalkan. A person could be a better mom when she is working. I too myself have that kind of mind set tapi bila sendiri jadi SAHM rasa lain pulak. Kita sebenarnya boleh jadi better person at any condition that we had. It's a matter of choices whether nak choose to be one. Working mom or SAHM sama je kalau kita sendiri asek nak menyinga dengan anak. Usah pikir pahala lagi banyak jadi housewife sbb itu semua kerja tuhan. Bukan manusia yg duk bagi markah pahala sape lagi banyak. Bantu suami ringankan beban pun pahala jugak kan.
Banyakkan baca article regarding being a good parents or at least ingat dalam otak 'anak, cermin kita'. ps: Pelajaran dari alam sekeliling semasa bersosial dengan jiran tetangga. Semoga kita semua menjadi yang lebih baik! She loves this book so much that I lost count how many times I've read it for the day. I could even read this with my eyes closed as when she brings the book while I'm sleeping. It probably because of it's bright color and quite easy to flip it through for her small fingers. ps: There's also another time when she asked me to fixed her broken rattle 'Bu, bekki' (Ibu, baiki). Ganu tak anak aku. Mane die tau bekki tahnye. Moving here was definitely put a new meaning of life. No more chaos and definitely more peaceful than the city. Love the fact that we are closer to both our parents (Besut and Kuantan) and we already had our landed house here. Anyhow, the thing is I am glad that Rauhah is so carefree living here, the way that I want her to be raised. 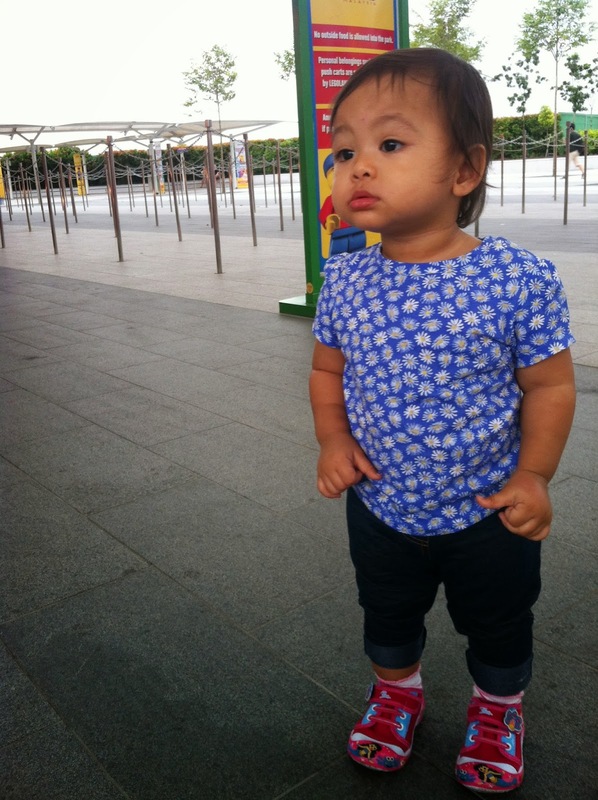 Since she's already start walking, she surely need a place for outdoors. Entah sape punye beskal =_= Syukur juga punya neighbors yang cakna :) - tahap jerit dari pintu je kalau nampak kelibat. We managed to join a gathering/potluck during Raya the other day. It's a very small community and plus with FB group and Whatsapp, makes all the connections so easy. I would be lying if I didnt miss KL. I missed the daily chaos when I'm working, missed the moment that I spend with my girlfriends at any time that I want, and missed the you-name-it shopping malls but above all, this decision truly overruled everything that I have before. I don't see this coming so soon but what else should I be grateful when Allah already grants my wish sooner than I expect. Hub is away for a few days and he exported (as what his bos named it) us to my moms. This is the time to reflect how I actually missed him so dearly - a feeling that i haven't taste for so long. I had a good time browsing through my 500G hard drives full with pictures and videos. I looked those photos that we took since we hooked up and build our life together. That includes photos to all the places we went together - holidays and adventures. I feel so amazed on how small little things that actually gives a lot meaning back then, like a photo of our empty home or my screwed home cooked or a vid of him having a headache over chinese manual instruction of tv shelves. Every photo and vid has its own memories and stories. I'm so glad we had it captured and even more blessed that I remember (almost) all those moments. Unlike any other day for the past three days, I had a very beautiful feeling, despite missing the other half 300km away. Kali ni di Besut with all family around! As far that I remember this is the first time that we get the chase to be together since we get married. Now, with babies and kids. so you probably get the idea. Haha. 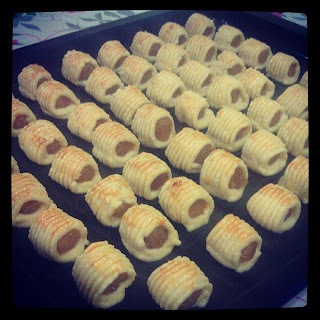 It's also my first time soo crazy into baking. 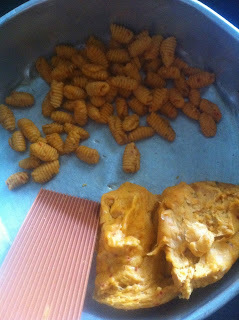 Made Popiah Nestum, Sarang Semut and Kuih Siput. 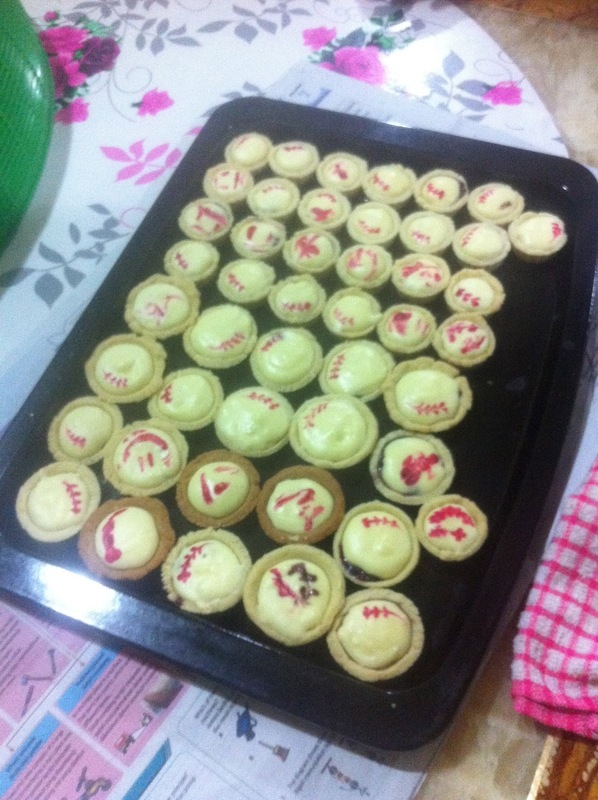 Few others was Butter Cookies with Acik and Uda, Tart Nenas and Cheese Tart with Kimah and Kak Jah. 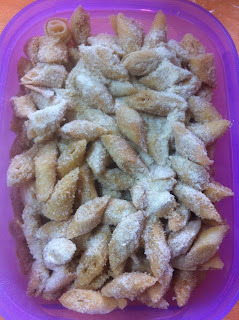 Ayah masuk dapur bila tengah buat kuih ni and he asked 'Buat kuih ape' and mulut ringan menjawab 'Kuih sarang kerengga - sebab die gemuk' Tergelak die. Menyiput sorang diri dan Husband surprise 'Jom balik Besut hari ni'. Nasib sempat goreng sparuh. Dapat la satu balang. Ingatkan boleh sambung kat Besut and surprise lagi sebab lupa simpan doh. Lepas 2 hari baru amik dr kereta dan sekiannn..berkulat segala. Lalu menjadi rezeki sampah lah jawabnya. Buttercookies - terima kasih Acik dan Uda yang gigih meng-icingkan cookies ni. Kalut sangat balik rumah kejar berbuka kononnye. Sep bek merasa buat sekejap. Hehe. Kuih yang Kimah kene buat 2 kali jugak sebab sedap gile oiiiii!